A family limited partnership or FLP is controlled by members of the family, and like other types of limited partnerships, an FLP has two types of partners: general and limited. General partners control investment decisions and control management. They also bear 100 percent of the partnership’s liability (although an FLP can make an election that limits the liability of the general partners). Limited partners have limited liability and can’t participate in management decisions. The partnership isn’t taxable, and instead, the owners of the FLP report the income and deductions on their personal tax return. The senior members of the family, usually parents and grandparents, contribute assets to the FLP in exchange for a smaller, general partner interest and a large limited partner interest. These portions can be passed on to their children and grandchildren directly or be set aside as part of a trust. When a limited partnership interest is transferred to a family member it reduces the taxable estate of the senior members of the family. The senior members of the family transfer the value of the assets to their children and remove it from the estate for federal tax purposes while maintaining control of the distributions and decisions of their investment. The limited partners don’t have control over distributions and investments, but they may be eligible for valuation discounts at the time of the transfer. Limited partnership interest transfers may also be eligible for gift tax exclusions. This makes them a very useful tool in reducing income. The value of the limited partnership shares may be discounted when transferred to family. The family members who are owners can also typically amend the partnership agreement if the family circumstances change. An FLP protects the assets from claims of creditors and spouses of failed marriages. Creditors cannot force cash distributions, own the interest of the limited partners without the consent of general partners, or vote. In the event of a divorce in the family and a limited partner is no longer a family member, the FLP documents can require the partnership to be transferred back to the family for fair market value. An FLP should be created with the present and future owners in mind to protect the family members now and those of the future. To start an FLP, a limited partnership written agreement must be created, then assets can be transferred including corporate stock, real estate, and cash. FLP’s do not include transfers of an individual’s life insurance, home, or retirement plan. For many years, the IRS has attacked FLPs and has been successful in limiting their use as tax-reduction tools. Accordingly, a “standard” limited partnership will not provide estate and gift tax savings. The partnership agreement must be carefully drafted to comply with the holdings in various court cases addressing FLP’s use as tax savings tools. Further, an FLP requires frequent monitoring to make sure it is operated correctly. The partnership agreement may need to be amended to reflect changes in recent case law. Florida laws for FLPs must be followed, however, they can be complex and very confusing for the general public. Care should be taken when creating an FLP so that the rights and obligations associated with any transferred property are correctly handled. 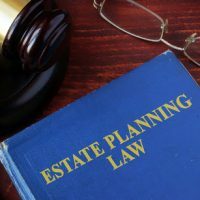 David Toback is an experienced estate planning attorney that can discuss with you all of the decisions and options for creating and maintaining an FLP. Contact him today for a consultation.